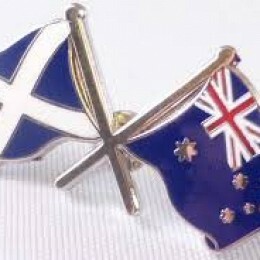 Has the McKenzie, Hooper combination worked? 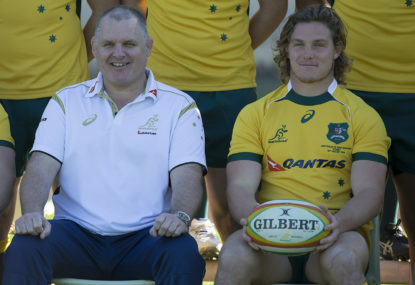 Ewen McKenzie and Michael Hooper have had differing paths to their respective roles in the Wallabies line-up. Attitude can be an intangible that can often be overlooked when dissecting a recent sporting match. 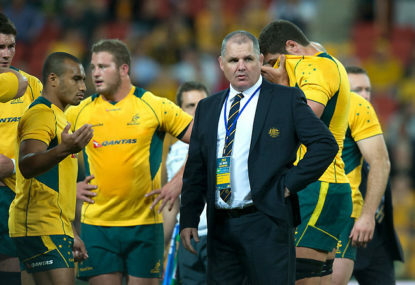 Ewen McKenzie should be congratulated on the Wallaby Renaissance, illustrated most recently by his side’s emphatic dismantling of the lacklustre French in Brisbane last Saturday. Are we ready for the third coming of JOC? 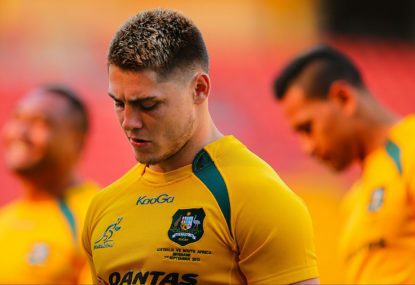 There has been recent speculation by some in the mainstream rugby media that James O’Connor and the Queensland Rugby Union are sounding each other out about a deal that will see the once errant Wallaby come back to Queensland in 2015. While the average rugby fan may still be engrossed in the 2014 Super Rugby season, some of us are thinking about the impending series against the erratic French, who arrive on our shores in approximately eight weeks for a three-match series. The year was 1974, the Wallabies embarrassingly had lost to rugby minnow Tonga and quite simply the Australian Rugby Union was just about flat broke. The game in Australia was in peril. Is global rugby really in union? In 1995, the rugby world as we knew it undertook arguably the greatest transformation it had seen since its creation in 1823 by sporting genius William Webb Ellis when the game finally went publicly professional. Harry Jones’ recent article about the better number 8s getting, or who have gone, around in world rugby left me pondering questions like how much the Wallabies really miss Wycliff Palu and who should be first choice Wallaby number 8 on the northern hemisphere tour? If my information is correct, Michael Hawker will name his former 1984 Grand Slam Wallaby team mate Bill Calcraft as the CEO of the Australian Rugby Union at a press conference at 2pm today. During the 2011 Rugby World Cup in New Zealand Robbie Deans and Quade Cooper found themselves sitting at the window of a coffee shop across from their hotel in Wellington having a ‘chat’. A wise man once told me that all solutions to your problems are often hidden in plain sight. 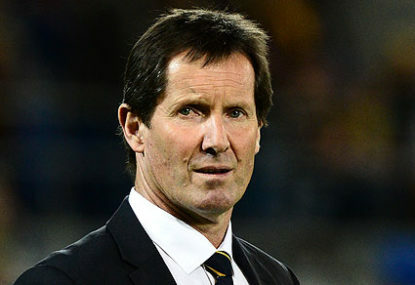 When considering the recent Wallaby victory at Twickenham, one gets the sense Wallaby coach Robbie Deans and his team may have had a heart-to-heart leading up to the now famous win over the old enemy. What happens when the body is battered and broken yet the competitor still has kilometres to run, rounds to box, runs to score and scrums to pack? Paris is a city of goodbyes and hellos. A city of romance, a city of renaissance, a city of culture and a city of treasure. Like most Australian rugby fans I am keen to see how our Wallabies fare on their upcoming European sojourn when they face the might of Wales; the grit of England; the flair of France and the improving Italians. When John Sturges directed an adaptation of the Seven Samurai in 1960 called ‘The Magnificent Seven’ I am pretty sure he was not expecting his movie to be the title of a rugby article some 52 years later. 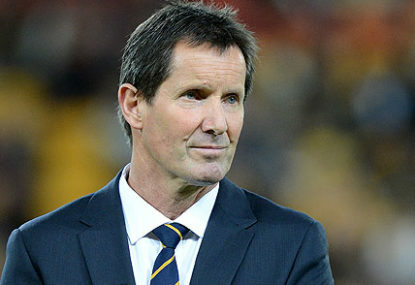 As many of you fellow Roarers would know, I have been highly critical of Robbie Deans when it has come to his handling of the All Blacks. “That’s one small step for a man and one giant leap for mankind”. I am not sure if the late Neil Armstrong ever thought that, 43 years later, those words would be used to describe the present state of Australian rugby. In the wake of yet another depressing Bledisloe Cup campaign, the cheers from across the Tasman are heard and well deserved. Mate, I’ve just played cricket with my son today. Watching him with a smile on his face, enjoying the game. Proud as but could not get Phil Hughes out of my mind. Good team. Congrats to Sean McMahon and Tetera Faulkner, and well done to Coach Chieka for putting faith in some younger players. I think Joe Tomane is an interesting selection but he is a quality player and hope he goes well. The interesting choice will be the omission of one of the bench. I think it will come down to either Cooper or Horne. Can anyone tell me if it is now mandatory that teams select 3 front row reserves or do they just choose to? I have a look back at a few stats and it appears to me that George North has only ever started one test before in the #13 jumper and that was on 21 February 2014 at the Millennium Stadium where Wales defeated France 27 – 6. Interestingly Jamie Roberts wore the #12 jumper on that day. In considering the fact North scored one of Wales’ two tries you would think the North/Roberts combination would be pretty handy, but going further into the stat’s and looking at the extended highlights that are available on Youtube I think there may be some opportunity for the Wallabies to exploit around the 12/13 channels. George North and Jamie Roberts came up against Wesley Fofana and Matthieu Basteraud who both can be dangerous players. In the highlights it shows a powerful Basteraud pushing through a George North tackle to all but set up his winger for a try. It appears that a lack of execution and discipline cost France dearly in that match; something the Wallabies have also had issues with at times. However the opportunities were there for France. North made 3 tackles and missed 6, his British & Irish Lions partner Dr Jamie Roberts made 3 and missed 2. Both Fofana & Basteraud had decent games in attack running decent meters, beating defenders and even the odd clean break. Interesting! It would be unwise to think it will be a repeat performance this weekend but I think Chieka and his team will obviously study that game as the Welsh side appears fairly similar to that which beat France. If I were Chieka I would stick with Lealiifano and Kurindrani at #12 & #13 but really ram home the point of supporting the runner on the inside as I think the Wallabies have too often made a break but lacked support to further the offensive. I consider Lealiifano one of the better inside support runners of his outside players and think he could do a good job the Wallabies in both attack and defense. I will say I am happy to see Craig Joubert officiating the match. 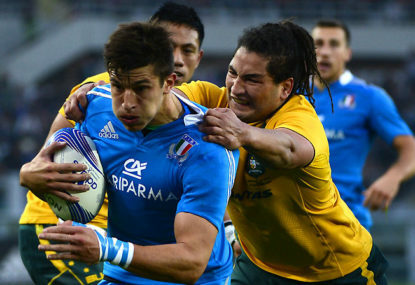 I think we should see some flowing rugby that suits traditionally suits the Wallabies. I am keen to see what side Chieka names. In relation to the emerging rugby market in the USA, I think the requirement for a professional domestic league or similar needs to be introduced before we really see the wealth of untapped rugby ability they possess come to life. 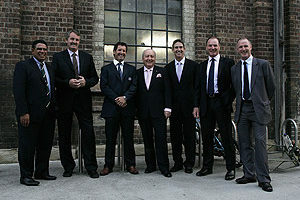 It is not to be forgotten that in 1995 during the ‘Rugby War’s’ the Packer backed World Rugby Corporation recognised this and had indeed designed such plans to launch an professional tournament there that would comprise of teams filled with ex-pat New Zealander’s, Australian’s, South African’s Brit’s, French and Irish blended in with local talent. Whilst WRC’s plan had its own issues I thought this acknowledgement of the US Market and need for a professional presence there was a positive plan. I still wonder 18 years on how rugby in the US may be today if that tournament was launched in 1996? Still I hope to see it in my lifetime and I think the USA and Canada would do an excellent job in hosting a RWC. In the meantime I would love to see a double header at Solider Field – USA v Canada as the curtain raiser to a Bledisloe or All Blacks vs Springbok’s match during the RC. Spot on about Israel. I recall that intercept he got against the All Blacks when he first got into the side and he appeared to have all the running then but it maybe just my perception but he does appear to slow up as you say. Mate if Chieka does go with Hansen then I still think it will be a very competitive side as well. Mate I like Carter but like all thought his body height was to high when carrying and cleaning out at times but he appears to have done some work on that and I rate him. Poor old Dean Mumm, was he really that bad? I didn’t think so – not one of greats but he was part of a side that did beat the AB’s in Hong Kong in 2010 albeit as a sub at 72 mins – but he was still there! Some great players have never tasted that. My understanding is that Mann-Rea is a stronger scrummager than Hanson and that is why I would give him the bench spot. It may sound that I don’t like Hanson as player, nothing could be further from the truth; I rate him highly but if I am right in my understanding of Mann-Rea’s scrummaging I think that makes the point of difference for me. Mate I saw more of Leroy Houston in the AVIVA last season and was impressed. I had posted on here that I was hoping he would consider a return to Australia (Reds) for a crack at the RWC but that seems less like an option now. The only real thing I have seen of Ma’afu in the Aviva is when he decked Tom Youngs in a dust up. It was an impressive slug, no doubt but I am not sure if that is the type of play we need. I like the look of Paul Alo Emile to be honest, with no disrespect to Tetera Faulkner I thought he would have been a handy addition to the squad? There was some speculation earlier in the year that Speight would carve up at test level. I get that he has had very little rugby of recent and will be better for the run against the Baa Baa’s but thus far he remains untested at test level. I have the same opinion of Karmichael Hunt who played some decent rugby for Bairritz a few years ago but outside of that we really have little to go off. I truly hope he does make the conversion successfully and puts his hand up for Wallaby selection but at this stage its a bit hard to call him a genuine contender even as a back up in my opinion. I thought Horne played pretty well on the weekend and seemed more comfortable at that level than Speight. I would suggest both would benefit from a trip to a barber. However with his with his bump off of Colin Slade and a try for memory I think Horne has done enough to get the jumper over the competition for this weekends test. No, I said I would not be buying any memberships or attending Wallabies tests. That still remains Frank. 1. Slipper, 2. Fainga’a, 3. Kepu, 4. Carter, 5. Simmons, 6. McMahon, 7. Hooper (C), 8. McCalman, 9. Pihpps, 10. Foley, 11. Horne, 12. Lealiifano, 13. Kurindrani, 14. Ashley-Cooper (VC), 15. Folau, 16. Mann-Rea, 17. Robinson, 18. Alexander, 19. Horwill, 20. Jones, 21, Hodgson, 22. Genia, 23. Toomua. Obviously gone for 6/2 split on the bench which has its risks but I think we have the backs to trouble Wales but we will need an ability to take on Wales physically if we are too win. (Obvious but needs to be said) I think these forwards have a balance of work rate, on ball presence, ball running and hopefully a repeat of the physicality that was displayed against the All Blacks in Brisbane several weeks ago. I really hope Ben Alexander gets his scrummaging right on this tour as that last 15 minutes have proven to be such a critical issue for the Wallabies recently and we can ill afford a repeat of him losing his feat, or a bind etc and giving away position and or points. He must step up and play like a prop who has the experience he has. He may yet have his Al Baxter moment circa 2008/9 when Baxter came up with goods against big Andy Sheridan at Twickenham when all the experts had him written off as I recall. I would have started Higginbotham if fit but I understand his hamstring will not be right for this test. Why not start McMahon? He has done everything asked of him and there really is only one way to find out if he is up for test rugby. The loss of both Higginbotham and Fardy places pressure on out line out, Jones would be an option to start as cover this but I really think McMahon’s form elsewhere is irresistible and a balance could be found. I would pick Toomua over Cooper at this stage as he can cover #10/12 where Cooper really is an all out #10. 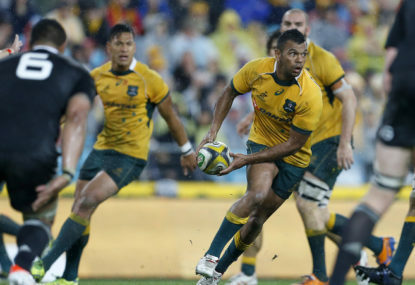 In relation to Folau, I would love to see him add an extra 1/2 yard or yard of pace if possible. Whilst an awfully effective runner of the ball I think he is lacking that express pace to burn defenders on the outside, bit seeing both he and Kurindrani work off each other should be worth the price of staying up late. If it actually has been Michael Chieka’s decision to omit KB from the touring party thus far I don’t think it necessarily a bad thing. I think the team needs to focus on notching a combination settling win this weekend over the Baa Baa’s and the late inclusion to the squad of KB may be a distraction to achieving that goal. Furthermore I think KB is better just keeping his head down in Australia and avoid the infamous Fleet Street Press, who I would think would be impressed with the ferociousness of some of the Australian media’s coverage of his recent issues and may try to outdo them. Mate I followed that 81-82 tour and recall how poorly Paul McLean kicked but I don’t recall his general play being all that bad. Correct me if I am wrong, it was some time ago! I also recall being in the hotel in Edinburgh and seeing an inebriated Wallaby in his number ones at the Hotel bar making a bit of a fool of himself several days before the Scottish test in which he played. I also recall seeing Mick Mathers in the lift and he was asked if he was upset about not being picked for the test. He replied graciously to the effect he was proud to be on the tour or words to that effect. I am not surprised we lost. That 81-82 tour in my opinion was not as well managed, selected and coached as it could have been and that is a stark difference to the 84 tour of which I attended the Scottish test. It was noticeably a stark difference in the way the 84 team operated to their 81-82 counterparts and I think much credit has to be given to Alan Jones, Chilla Wilson and Andy Slack for ensuring that shift. I am not sure if KB is an international #12 or not? I was impressed with Christian Lealiifano’s recent outing and would like to see him retain the role. However from that 81-82 tour I recall sitting behind Mr & Mrs Ella at Cardiff Arms Park, and although their son Mark did not get on the park that day I can still see them proudly talking to each other and how proud they must have been of Mark. Perhaps KB’s family may also get too see him at Twickenham in 2015 winning a RWC? I hope he is there is some playing capacity with this horrid episode behind us all! Hey thanks for the input -you could be right? I fear that this unfortunate story has many more chapters that are yet to be revealed. There are many parties still with axes to grind and the next forum may be a court of the land, not an internal discipline tribunal. On a positive note I am really looking forward to seeing the team selection on Friday and hopefully a classic Baa Baa’s match played in the spirit of Barbarians past. 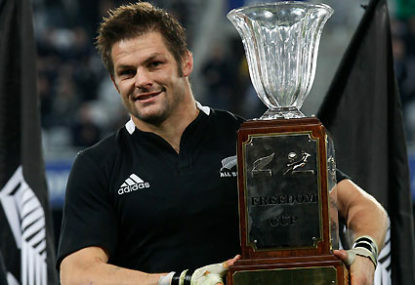 Would it be too much to ask for a repeat of the 1973 All Black game? I am perplexed at the motivations of the ARU in relation to this matter as it appears to me that Kurtley Beale is the target of the investigation, not a person of interest of it. I would have thought to establish and maintain credibility the ARU investigation would have to be comprehensive, transparent and able to stand up to scrutiny for it deemed to be a credible investigation. From what I can glean thus far this has not occurred in my opinion. Correct me if I am wrong, but did Beale not send the the first message to some ‘Waratah Mates’ and then a 3rd party has authored the message deemed to most offensive? If this 3rd party is not an employee of the ARU, the ARU obviously would have no jurisdiction over that person, however the ARU would still have jurisdiction over the players who were also privy to ‘that’ message. Surely those players must also be accessories before the fact of Beale’s offence or the principal offenders of an offence themselves? If this 3rd party or parties were not within the ARU’s grasp then why the need for redaction’s within the Beale statement? Surely the ARU would have the mobile phone numbers of contracted players within Australia. How hard is it to match the forensic analysis of Beale’s phone to those phone numbers? or were the mobile phone numbers also redacted? I would think not because Beale would have to show that the numbers were not his? I am willing to keep an open mind but these are fairly basic probing questions. The ARU can say “if new, relevant information comes to light, we’ll investigate that information” but I would have my doubts about the strengths and objectivity of that investigation based on what is known to me from various media reports. One thing I will give to Beale is that he has fronted up to face the music. He has provided a statement, supporting evidence and I would think this has been subject to cross examination and subsequently he received his punishment. In my opinion Di Patston appears quit happy to use the media to push her barrow but at the end of the day she has not fronted with evidence and and allowed herself to be cross examined in a similar manner to Beale upon that evidence. That may well be due to the state of her health and that is fair enough and I wish her well in her recovery. However until she does, are we to take her at face value? If so that would be quite prejudicial towards Beale I would have thought? When will Di Patston stand up and be totally accountable for her actions and or version of events? I find this comment interesting “He (Beale) doesn’t know my background. I’ve had an ongoing illness myself and I’m on medication. There’s a whole story behind it.” Did Di Patston seriously think Beale was a mind reader? Would it be reasonable to suggest that Beale some how should have made himself aware of the medical history of Di Patston? I think not. At any stage did Di Patston make herself conversant with Kurtley Beale’s background and issues he may have? In my opinion Beale is no Saint and is deserved of punishment for his actions. However it just appears to me the ARU have tunnel vision and have their blinkers on when it comes to other parties involved in this dreaded saga and I don’t think that is right. I can’t think of an episode in the history of rugby in Australia where a player has been subjected to such an episode, the fans so divided and the ARU found so wanting. I can think of the Quade Cooper ‘toxic’ comment; the James O’Connor contract termination; the Beale vs Delve incident; the Rugby Wars; 1987 when Roger Gould just left training to go home as Coach Jones had ‘lost the dressing room’; the fractured 1981-82 tour of Great Britain and Ireland all come to mind but for me this saga has it all and the wounds still appears open and deep. It appears to me that even if you are pro Beale or pro McKenzie/Patston neither camp appear to be pro-ARU. I too think the ARU have handled these matters appallingly and have been found wanting. It appears to me that they have failed to fully adhere to natural justice; crisis management; public relations; team administration; leadership; transparency and competent governance. I am intrigued that the ARU appear to be quite at ease with their handling of the matter. Perhaps I am just plain wrong and the ARU have nailed this. If the ARU are going to give themselves a pat on the back then it appears they are all well versed in the practices of the mutual admiration society. If this is the blue print for the ARU moving forward I fear for the code in this country. Do you blokes recall the 1984 Wallabies v Baa Baa’s at the old Arms Park? Its been a dividing time not only for Australian rugby, but also here on The Roar. There are some who have taken the line “What if that were your mother, sister or daughter on the other end of those SMS’s” or words to that effect. There are some who just want Beale gone for any reason. I have been quite surprised at the vitriol in some of the comments. However I would ask people to consider “What if that was your son (Beale). You would at least want him to get a fair hearing wouldn’t you?” I have made inferences and judgement’s as much as any on the topic. I still think Pulver should go! I don’t know about that Andy but I know RT talked about strict liability for the Commonwealth Criminal Code offence discussed on the Roar previously. Beale may still have a mistake of fact defence but that appears unnecessary as the prosecution does not appear to have a witness, and their is doubt about the veracity of the actual evidence. How an impartial body could find against Beale for anything under these circumstances would be an interesting turn because it would appear they are no longer impartial. Under the Qld Criminal Code it is a crime where it is incumbent upon the prosecution to prove that the defendant ‘knowingly’ was in possession of such material. To prove ‘knowingly’ that must be to a standard of beyond reasonable doubt. What if there is a home computer, and one member of the family does involve themselves in that garbage, but the other members of the family are totally unaware – do you charge every member of the family because they all use the same computer – I would hope not. is this hearing a ‘Star Chamber’? Does it just look at Beale’s behavior or all the other issues that appear to have arisen during the course of this investigation; such as the behavior of McKenzie, Patston, Pulver, the ARU, other players etc. It just appears to me that KB is the only target in the sights of the ARU when on the face of it others also appear to have cases to answer for their conduct. Its not a good look in my opinion. Perhaps, my first thought was 6. Higginbotham, 8. McCalman but who knows?